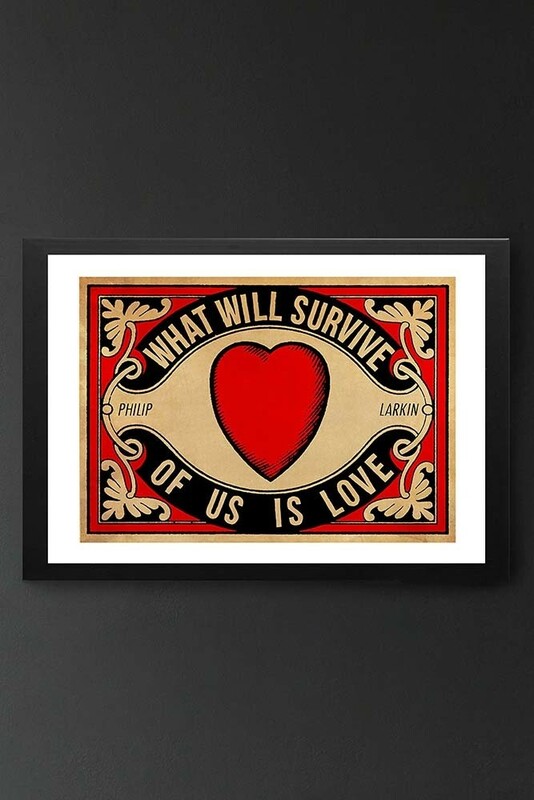 ‘What will survive of us is love’. The iconic line from Phillip Larkin’s poem, An Arundel Tomb, this lovely matchbox style art print will add colour and poetry to your walls. A great gift ideas for poetry and literature lovers this beautiful art print would look great displayed above the bed or on a mantelpiece or ledge in the bedrooms and living rooms. Alternatively, create a gallery wall of wonder and style An Arundel Tomb Art Print as part of your picture wall. Please note that this art print comes unframed so you can choose a frame to suit your home. RSG Top Tip: To create a picture wall with your favourite art prints, simply lay the arrangement of prints out on the floor first so that you can visualise your picture wall and once you are happy; start hanging the prints on the wall in your chosen arrangement.